"Miko" redirects here. For the occupation, see Shrine Maiden. Listening to ten people's conversations at the same time. Toyosatomimi no Miko (豊聡耳　神子) is the main antagonist of Ten Desires. She's a saint who spread Buddhism across the country as ruler while Seiga Kaku taught her Taoism. As a follower of Taoism training to attain immortality, she now lives her life in a simple, carefree manner as a hermit. Miko was the Final boss of Ten Desires, is a playable character in Hopeless Masquerade, was a Final day boss in Impossible Spell Card and later a playable character in Urban Legend in Limbo. Although she is a hermit (shikaisen) just like Mononobe no Futo, the fact that she was specially designated as "saint" may be due to the difference that Futo never having stopped being an ordinary human. Miko is characterized as being "surprisingly casual", and frequently jokes around. Though she's a fully immortal hermit, she still tends to get involved in secular affairs because of her origins as a ruler. During combat, however, she displays no sign of weakness and seems to completely see through her opponents. As a hermit, she isn't concerned about teaching her techniques to the many that want to become her disciples, and simply uses them as servants and couriers. She's cooperative and friendly towards humans in general, though. Due to her ability however, she may not listen to people's conversation. In Symposium of Post-Mysticism, Miko expressed interest in acting as an "administrator" for the Human Village to prevent collapse of its society, but stepped back when she was told that it was not necessary. In speech, first person, she uses the word "watashi" (私, "I") in first person and "kimi" (君, "you") in second. It also seems like she uses "anata" (貴方, "you") for those who acknowledge her true power. Since she's a saint, it would be appropriate for her to be polite in general. She apologised for being impolite to Reimu Hakurei when fighting her and invited Reimu to her home in Senkai. In her profile in Ten Desires and in Symposium of Post-mysticism, it's mentioned that Miko has performed many superhuman feats. The ones listed here are the specific ones ZUN describes. As literally stated, Prince Shoutoku – according to legend – was so smart that he could understand ten people questioning him at once, and reply to each of them with perfect answers. This is pointed out by her name, "Toyosatomimi". Because of this ability Miko's ears are extremely sensitive, leading her to wear earmuffs. Miko, who is from a high noble family, has from a young age heard many grumbles from government officials around her. Although one would think that nobody is usually able to understand such government officials, she understood all of it, and was able to give precise instructions to them. The aforementioned thus became a rumour that spread throughout society, and thus she gained tremendous popularity as a saint. In addition to this ability, which she acquired through the faith she had received as Prince Shoutoku while in her long slumber, gained the ability to hear other people's desires. By listening to the other's "ten desires" simultaneously, she gains insight into the personality, motives, and identities of whose desires she listens to, and thus is able to know everything about the other person; although, originally, such an act wasn't possible before. This power is referenced by the game's title Ten Desires. However, this ability is not all-powerful, since she has trouble analysing those who inherently lack one or more of the ten desires. In the case of Youmu Konpaku, who – as an irregularity – lacks desire; this is due to being a half-phantom who lacks desire of neither life nor death, so Miko is unable to completely understand her. She's also unable to read Koishi Komeiji at all. On a related note, despite the fact that she has this ability, "she fundamentally does not listen to people's conversations". It is likely that by hearing the other's desires, it would seem that she would hear others' conversations with the belief that she understands the other already, and that the contents and flow of the conversation has already been self-completed. Thus, on stage 6 of Ten Desires, the moment the main character meet with her, by her ability she gained understanding, and without consent or refusal progressed the conversation. She understood Reimu, Marisa and Sanae as she conceived them, but talked to Youmu based completely on a misunderstanding. Although Youmu tries to point it out and tell about her true nature, she doesn't listen at all and simply talked more as she wished. Miko is trained in Taoist magic, seeming to favor spells themed around light and swords. She has displayed a number of abilities typically associated with hermits, including shukuchi movement (with the aid of a cape). During Reisen's scenario in Urban Legend in Limbo, she was also able to break Kaguya Houraisan's spell that made the corridor inside Eientei endless. According to Miko, since Kaguya's spell connected minuscule gaps in space-time, she neutralized it by using a hermit art that absorbs space. Miko has displayed the ability to attract and absorb desires from her surroundings (usually in the form of vulgar spirits) to increase her power. In Hopeless Masquerade this takes the form of a secondary popularity meter, increasing or reducing her stats depending on the crowd's opinion of her. It is unclear whether this ability is related to her status as a saint and/or god, or simply an extension of her ability to hear desires. Miko's a hermit living in Senkai. Though she apparently has disciples, she doesn't teach them her ways, but rather treats them as servants. Her main goal is to achieve immortality, and then eventually become a celestial. 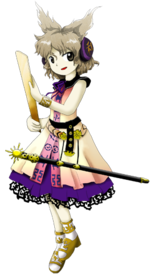 She has shown interest in becoming a leader to human society as seen in Symposium of Post-mysticism, coincidentally the surge of a leader in the Human Village is seen as the biggest threat to balance in Gensokyo for youkai society as mentioned by Aya in Forbidden Scrollery and possibly reffering to Miko. The sword she holds is assumed to be Shichi-sei ken (七星剣) lit. Seven-Star Sword, a Chinese-made sword originally owned by her namesake which was influenced by Taoism. It's one of two swords Prince Shotoku was most famous for. Her primary weapon is a shaku, which is also commonly associated with Prince Shoutoku. Toyosatomimi no Miko is the true identity of Prince Shoutoku, a politician and advocate of Buddhism in the sixth century. According to her profile, she was born in a stable, and was revered as a genius from a very young age, able to offer advice to people much older than her. She was all out in displaying her talents and abilities, but because of her genius, she was dissatisfied. She considered: "the earth hasn't changed from the age of the gods, and the seas are still filled to the brim. Why must humans be forced to accept death?" Upon this consideration however, she eventually turned against her natural fate as a human – to eventually die. She was then approached by Seiga Kaku, a hermit who heard of the rumour of Miko and taught her the ways of Taoism. She was delighted at hearing that it was a religion that was a realisation of true immortality, but she also conveyed to Seiga that Taoism wasn't a religion suited for ruling a country. They then hatched a plan: because Taoism isn't sufficient for calming the problems of an entire people, she took on the appearance of advocating for Buddhism instead, which preached peace. Seiga proposed the remedy that she would have the outwards appearance of having faith in Buddhism, a religion that has strict rules against the killing of any kind of life. Accepting the condition that in this way, the country would be stable. As time passed, she progressed in her study of Taoism. As other people of political influence put faith in Buddhism, in accordance with her own instruction in Taoism, she demonstrated superhuman abilities and pulled off feats so unreal to the extent that in future generations, fictitious tales related to her became well-known. The legends that she left for future generations had this kind of behind-the-scenes to it. Miko was not negligent of her final objective of achieving true immortality, but in the process, the cinnabar (mercury sulfide, a poisonous substance) that was supposed to bring about immortality, instead ruined her body. She made the judgment that she would not be able to hold onto her body like this and decided to become a shikaisen. However, Miko was afraid of implementing this all by herself. To test it, she asked Mononobe no Futo – though they were enemies on the surface – and Tojiko be revived. Therefore, she relied on having Futo going to sleep first. After Futo continued to sleep without decaying, Miko performed the ritual on herself. Her plan was to reawaken once the nation had outgrown Buddhism, they awaited their revival in the time of seeking sainthood. Unfortunately for her, Buddhism dominated the Japanese people for over a thousand years. In actuality, since Buddhist monks repeatedly sealed Miko's mausoleum with the power of Buddhism, she was unable to revive. Her plan was foiled. Since there was no need to be in a hurry, she continued to wait until the time of her resurrection. People in general started disbelieving in the feats Miko had performed. 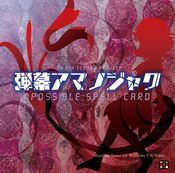 Currently, there are definitely no illusion-like powers like humans who display superhuman abilities, so it was inevitable that her exploits were suspected to be fictitious. However, due to this denial of illusion, she and the mausoleum moved to Gensokyo. When Miko finally was about to be resurrected, it was after the entire mausoleum had been transported to Gensokyo. There were no temples, so it was always possible for her to prepare for the revival. However, due to bad timing, a Buddhist temple had been built on top of the mausoleum to prevent her resurrection. Fortunately, the act did more to revive her than otherwise; the mausoleum was finally broken, and the divine spirits that were attracted to Miko overflowed throughout Gensokyo. 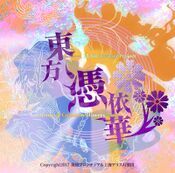 Toyosatomimi no Miko is the incarnation of the fictitious tales of Prince Shotoku (聖徳太子, Shoutoku Taishi, lit. "Prince Virtue"), real name Prince Umayado (厩戸皇子), who was a legendary regent and political figure of the Asuka period, living from 574/02/07–622/05/08. He was purportedly born in front of a horse stable, being named Umayado, lit. "Prince of the Stable Door" as a result. He was crucial in the spread of Buddhism in Japan and according to folklore, could comprehend ten simultaneous conversations, like his Touhou Project namesake. Because of this, he was also named Toyosatomimi (豊聡耳, lit. "abundant, clever ears") at very first, which would be soon pronounced as Toyotomimi for the same kanji. He eventually came to be recognized for his contributions and was seen as something like a saint, but some accounts of his life have also been subject to criticism and debate. Her full name is Toyosatomimi no Miko (豊聡耳　神子). Her name comes from an alias of Prince Shotoku within the Nihon Shoki. Although the name Miko (神子) is usually used with pretty much the exact same meaning (but less common) as "Shrine Maiden" when it is written as "miko" (巫女), since Prince Shoutoku was a Prince of the imperial family, perhaps interpreting as "god's child" would make more sense. Her last name Toyosatomimi (豊聡耳) as mentioned above, is another name/title that Prince Shoutoku had, literally meaning "wealthy intelligent ears". She is called Crown Prince (太子様, Taishi-sama) by her followers. The characters for Prince (太子, Taishi) are the same in Prince Shōtoku (聖徳太子, Shōtoku Taishi). A crown prince or crown princess is the heir apparent to the throne in a royal or imperial monarchy. In Ten Desires's official art, Miko has very light, almost platinum blonde hair, styled like horns or ears, as well as grey eyes. She wears purple headgear which has been described as both headphones and earmuffs. They bear the Chinese character meaning "Harmony" (和, wa) which was used as the name of ancient Japan (Wa). Her clothes are a purple dress under a white vest with elaborate trimming. The colors used in her dress refers to the Twelve level cap and rank system: a famous political achievement that she (= Prince Shoutoku) made ("violet" [Greater Virtue] represents 1st rank and "purple" [Lesser Virtue] for 2nd rank.). She holds a shaku and carries a sword which is assumed to be the Seven Star Sword (七星剣, Shichi-sei ken) - a Taoism sword known to be worn by Prince Shoutoku in this portrait - on her waist. In Sanae's ending of Ten Desires, it's shown that Prince Shotoku is historically seen as a bearded man, as his face is on old yen bills. Sanae is unable to figure out the reason for this discrepancy, although the fact that she was using an elementary school history textbook to research it probably didn't help. In Hopeless Masquerade's official art, she additionally wears a large, collared cape. It is colored light purple and bright red respectively on the outer and the back side. And a yellow line is drawn along with the end of the outer surface. Already mentioned above, purple is an elegant, authentic color only permitted for nobles on the absolutely high ranks. Yellow is also a noble color; it is originally the symbol of the Emperor in Ancient Chinese tradition, which was adopted into the aristocrat system during the age of Prince Shoutoku. Miko is the final boss of Ten Desires, appearing to the main character once they have made their way into the Hall of Dreams' Great Mausoleum. The heroines all appear to fight her for no reason, but Miko welcomes the battle to aid in her resurrection. During the fight, she calls on Mononobe no Futo and Soga no Tojiko to assist her. Miko has looked into Reimu's past and determined that she is an enemy, because she is a "friend" to the monks who would keep her sealed away. They end up battling for no real reason. In Reimu's normal ending, she appears to the shrine maiden and Marisa by coming out of the ground; she apologizes to them and invites them to visit her whenever they wish. They then go back to the Mausoleum and Reimu is impressed. Marisa realizes that Miko is the one who has gathered all of the divine spirits here. Miko tells Marisa that she could never control her own desires, and the two start fighting. As Sanae wonders about the name Mononobe, which she thinks she's heard before, Miko explains that the Mononobe clan was her enemy. She introduces herself as Prince Shoutoku, and invites Sanae to do battle with her. When Miko meets Youmu, she observes that she lacks two of the "ten desires" – attachment to life, and envy of death. Miko mistakes her as a hermit because of it, and asks for a battle so that the two of them may be revived. 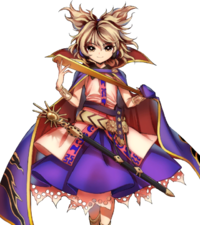 Miko is one of the main religious proponents in Hopeless Masquerade, along with Reimu Hakurei and Byakuren Hijiri; she represents Taoism. She appears in the other characters' routes often as a main opponent. In her own storyline, after easily defeating Reimu, Marisa, and Ichirin Kumoi, she faces off against Byakuren. After telling her what a sham Buddhism is, Miko defeats her, finally earning the hearts of the people, which she promises to return. However, before she returns hope to the people, a doppelganger appears and summons a fake crowd. After Miko beats her, she is revealed to be Mamizou Futatsuiwa. At this point, after the violent fight, Miko has lost all her faith, but after she defeats her again, Mamizou explains that someone has been draining the emotions from the Human Village at night. Miko goes there and meets Hata no Kokoro, the culprit. Miko recognizes her masks as those belonging to Hata no Kawakatsu, and speculates that they had become tsukumogami. These masks coalesced to form the youkai, Kokoro. Miko offers to create a new Mask of Hope for her to solve the incident, as she was the one that made her masks in the first place. After the events, Miko talks to Reimu about the masks and the manipulation of emotions that occurred. Miko has made a new mask in her own likeness for Kokoro, partly to get ahead in the religious conflict. With it, the incident should be resolved. During the pessimistic attitude gripping the Human Village during the events of Hopeless Masquerade, Miko receives a visit from Kasen Ibara. Miko bows to her, surprising everyone present. She tells Kasen that though she never actively sought out disciples, they came to her anyway because they idealize the concept of a hermit. Kasen asks her why she became a hermit in the first place, and Miko simply answers that she wanted to overcome her own humanity. She repeats Reimu's own thoughts about needing to provide religious service for those who have lost hope. As Miko sees her off, she mentions that she can feel a great power, far more than her own, coming from Kasen. Kasen insists she doesn't have disciples; just some animals. This greatly impresses Miko, who considers having animals as disciples is on another level from having humans as disciples. As they part, Kasen insists that she became a hermit to become closer to people, which surprises Miko. 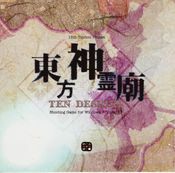 Cover of Ten Desires, featuring Miko's silhouette. Miko has a few followers as part of her religion. Mononobe no Futo is an ally of Toyosatomimi no Miko. Futo acted as Miko's test subject during the process of immortality. 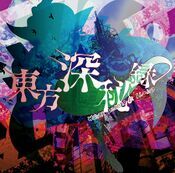 Soga no Tojiko is an ally of Toyosatomimi no Miko. These two assists Miko during one of her spell cards. Seiga Kaku is an ally of Toyosatomimi no Miko. Seiga was the one who taught Miko the charms of Taoism. Despite this, she feels Seiga would cause trouble down the line. 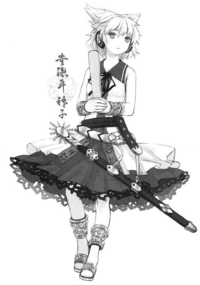 Yoshika Miyako is a Jiang Shi controlled by Seiga who guarded Toyosatomimi no Miko's mausoleum during her resurrection; as of yet any interaction between the two have not been seen, whether in the past or present. The residence of the Myouren Temple is an enemy of Toyosatomimi no Miko and her allies. The existence of a Buddhist faction lead to the resurrection of the Hall of Dreams' Great Mausoleum. The Buddhist monk Byakuren Hijiri's Myouren Temple was built above Miko's mausoleum; obstructing her resurrection. Nue Houjuu, a resident of the temple, called in Mamizou Futatsuiwa in order to fight against Miko. During the events of Hopeless Masquerade, Miko recognises Hata no Kokoro as the Tsukumogami Youkai of the 66 masks that Miko made for Hata no Kawakatsu, the legendary creator of Sarugaku (a form of Japanese theatre), before she was sealed. She subsequently promises to remake the lost mask of hope that originally caused Kokoro to go berserk, which is in the ending revealed to be a mask of Miko's own face. The butterfly that Miko uses in some attacks probably alludes to the story of Zhuangzi's butterfly dream, one of the most well-known Taoist philosophy stories. Miko's left hand appears to have been drawn incorrectly on her Ten Desires portrait. Her fingers should be showing while her thumb should be hidden. Basically, it looks like she has two right hands. However, if you consider that the left hand's finger which the viewer sees is a pinky, everything looks normal. 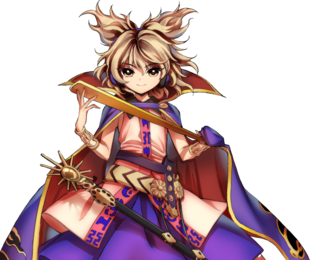 Miko is the first and only game character whose precise age and birth date is known. Remilia Scarlet and Flandre Scarlet's years of birth are known but not their actual birth date and Chiyuri Kitashirakawa and Yumemi Okazaki's ages are known, but not their birth date. In Miko's spell cards, the background features the Five-storied Pagoda of Hōryū-ji. Hōryū-ji is a Buddhist temple commissioned by Prince Shotoku. Miko's conflict with Byakuren and shared use of Buddhism appears to be a shout out to Hokuto No Ken where Miko is Raoh, a conqueror whereas Byakuren is Toki, their shared use of Buddhism for difference uses mirrors that of Hokuto Shinken in the said series. The group of men next to her spirit bar in Hopeless Masquerade is a direct reference to the "Gaijin 4koma", better known as the "Reaction Guys" meme in the western world (particularly their excited state). In Hopeless Masquerade, Toyosatomimi no Miko wears a cape which she uses top hop between space; this is highly similar to how Funny Valentine from JoJo's Bizarre Adventure uses the Betsy Ross flag to hop between dimensions. This ability of teleportation also has similarities to Yukari Yakumo and her gaps. In the 1.30v update Guard Poses were added, and coincidentally Miko's pose highly resembles "DOJYAA~~N" pose of Funny Valentine. 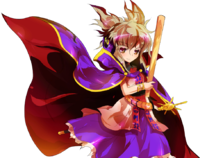 Miko shares a spell background with Okina Matara. Ability: Capable of listening to ten people's conversations at the same time. Born in a stable, she was recognized as a genius at an early age. Born into a high position, she overheard many complaints when she was young. People would let their tongues loose around her, assuming she wouldn't be able to understand them, so she heard a lot of idle grumbling from servants and such. However, Miko was able to understand them - and provide very specific advice right away. Rumors of her spread throughout the land, and she gained enormous popularity as a saint. She had her own troubles as a genius. "The earth hasn't changed from the age of the gods, and the seas are still filled to the brim. Why must humans be forced to accept death?" She became dissatisfied with her fate that, as a human, she would eventually die. Seiga, who had heard the rumours about Miko, was confident she'd found the person she'd been looking for, and came to spread Taoism to her. Taoism was essentially nature worship, and by becoming one with nature it could bestow immortality on its followers. Miko's heart danced in joy. She also told Seiga that her faith could never lead to having strong rule over a country. Seiga didn't care about national politics so long as she could further her own goals, but Miko held a different view. In that case, Seiga recommended, she should make the appearance of becoming a Buddhist. When Miko learned Buddhism was a strict creed that forbade murder, she determined it would be a good means to calm the nation, and accepted it. Miko spread Buddhism throughout the country, in order to ensure that those without political power would not gain power. In the shadows, she advanced her own experiments with Taoism. As a result, she obtained superhuman abilities and left behind a number of legends with which everyone is familiar. She didn't neglect her work towards her ultimate goal of immortality. She turned to the use of various unusual materials, such as cinnabar. This ruined her body. She had destroyed her health because of the very Taoism that was meant to grant her immortality. Thinking she'd be unable to wait long enough with the state her body was in, Miko decided to become a shikaisen. This was a secret technique in which she would die (or make it appear that she'd died) and be resurrected. However, afraid to undergo the procedure alone, she reached out to Futo, and convinced her to go to sleep first. Believing in Miko's power, Futo became her test subject. Once Miko confirmed that, after death, Futo continued to sleep without decaying, Miko went to sleep herself. Miko had planned to awaken when the nation felt limited by its Buddhist precepts and felt the need for a saint. However, her calculations went awry, and the nation was controlled by Buddhism for over a thousand years. Because Buddhist monks continued to place seals on Miko's mausoleum, she was unable to resurrect. Miko's plan had been foiled. Miko judged she had no need to rush and could resurrect herself at any time, and so continued sleeping. Finally, the time of her resurrection came. The trigger was a rumor that the legends regarding her were all fabricated. Since, in modern times, there were no more people with superhuman powers, it wasn't surprising that tales of her exploits were seen as simple lies. As a result, her mausoleum ended up in Gensokyo. Since there weren't any temples in Gensokyo at that time, she prepared for her resurrection to proceed whenever she felt it was necessary. By some stoke of timing, though, a new temple was built. And, whether by plan or by chance, it was built directly over her mausoleum. That was, of course, Myouren Temple. Would Miko let herself be held back by a Buddhist monk once more? Or would she fight that monk? A fight just like the battles between the Mononobe clan (of the old gods) and the Soga clan (of the Buddhists) had fought over and over so long ago? Hope has vanished from the hearts of humans. Miko, who noticed that this was happening, sought to save the world by becoming their hope herself. and then seize the hearts of humans for herself. Miko sought out Gensokyo's most ancient religion. Whenever Miko gains popularity, she takes in the audience’s desires. When she takes in a lot of these desires, each attack is strengthened. so there’s a need above that of other characters to be the center of attention. she transforms the shaku into a massive sword of light that completely hacks apart the battlefield. so if you're within this interval you can take everything down. Occult Name "Red cape, Blue cape"
An all-purpose character that flawlessly combines physical attacks and projectiles; such is the temporary identity with which she sneaks through this world. When her Occult Attack, “Do you want Red, or Blue?” hits the opponent, it presents the options of red or blue, where red raises attack power and blue raises projectile power. Utilizing this enhanced state and overpowering the opponent is the duty of this character. but allow me to use you as a guinea pig." A renowned figure and Taoist, who was brought back to life in the modern day. To seek out the truth of the Perfect Possession incident, she joins hands with her business rival. Her goal: solving the mystery of the "other Perfect Possession". Her fighting style changes based on her Occult Special Move, which strengthens either her melee or her projectiles. The choice, however, rests in the opponent's hands; grant them whichever terror they desire. ↑ A reference to Article III of the Seventeen-article constitution written by Prince Shoutoku. This page was last edited on 25 October 2018, at 18:18.